In the mood for a zombie audiobook? 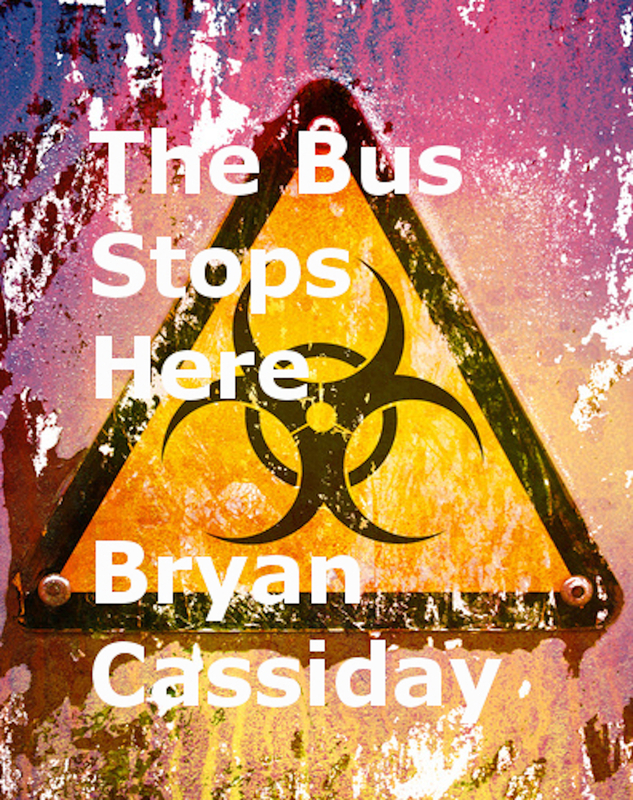 Bryan Cassiday’s collection of zombie short stories The Bus Stops Here and Other Zombie Tales is now available as an audiobook at Audible. Bryan Cassiday’s collection of his zombie horror stories The Bus Stops Here–and Other Zombie Tales is now free on Kindle. This holiday special can’t last long. I am pleased to announce that Darkwater Syndicate’s Shadows and Teeth Volume Two, which includes my short story “Boxed,” has just won another award to go along with the International Book Award it won for best adult horror fiction anthology 2017. This time around, Shadows and Teeth Volume Two, won FAPA’s President’s Gold Medal for horror fiction 2017. Check out the Florida Authors’ and Publishers’ Association press release here. 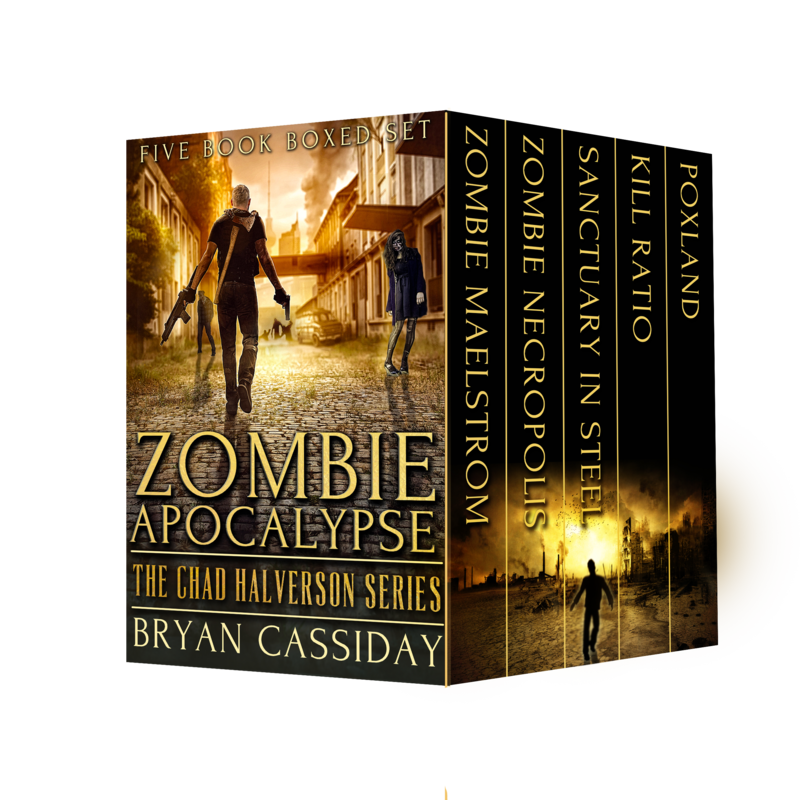 Save 50% on Amazon Kindle on July 10 on Bryan Cassiday’s horror epic Zombie Apocalypse: The Chad Halverson Series. Will Chad Halverson survive long enough to find out what the government is hiding about the zombie apocalypse? 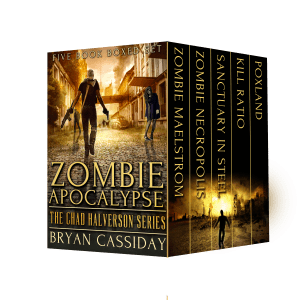 The explosive zombie action in Bryan Cassiday’s boxed set Zombie Apocalypse: The Chad Halverson Series will set your teeth on edge. What force on earth can stop the zombies?Nobody knows. All they can do is continue fighting, trying to kill the zombies before the zombies can kill them. The ensuing zombie bloodbath is brutal and relentless–with the zombies gaining the upper hand all over the earth. Get it now at Amazon. Enter the giveaway now for a chance to win a free e-book of Bryan Cassiday’s zombie epic Zombie Apocalypse: The Chad Halverson Series at Amazon.